Response: After a Dwarf hero you control leaves play, put Brok Ironfist into play from your hand. 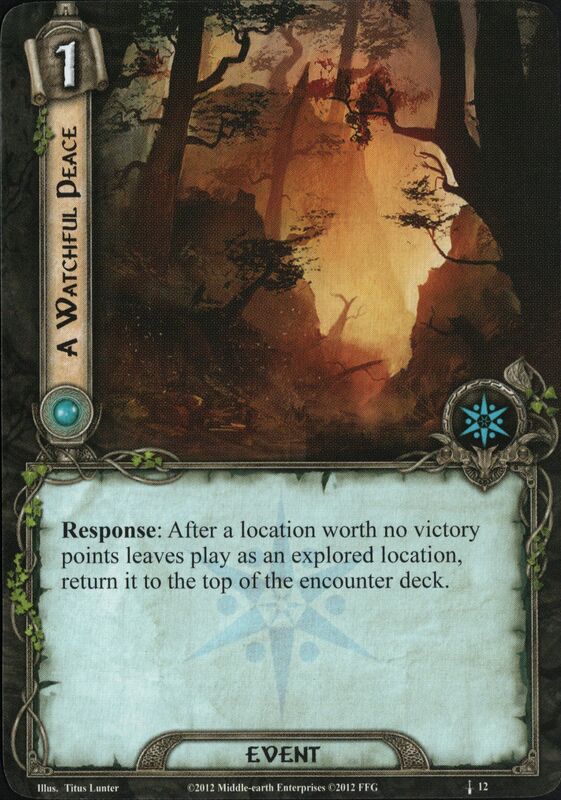 Response: After Keen-eyed Took enters play, reveal the top card of each player's deck. Action: Return Keen-eyed Took to your hand to discard the top card of each player's deck. Response: After a character leaves play, add its Attack to another character's Attack until the end of the round. 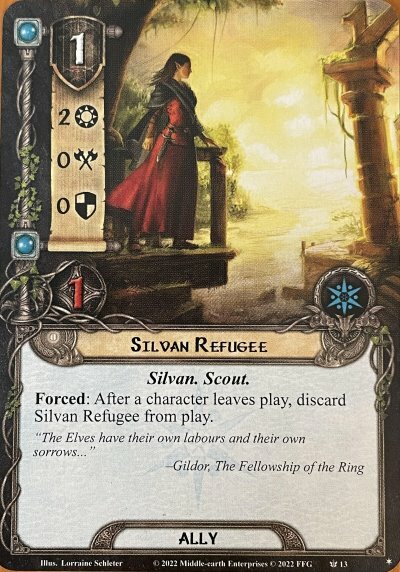 Response: After you engage an enemy, search the top 5 cards of your deck for a Hobbit ally and put it into play (search you entire deck instead if that enemy's engagement cost is higher than your threat). Shuffle your deck. At the end of the round, if that ally is still in play, return it to your hand. Response: After a Dwarf character leaves play, shuffle the encounter discard pile back into the encounter deck. Play only if you control a unique character with the Istari trait and another unique character with the Eagle trait. 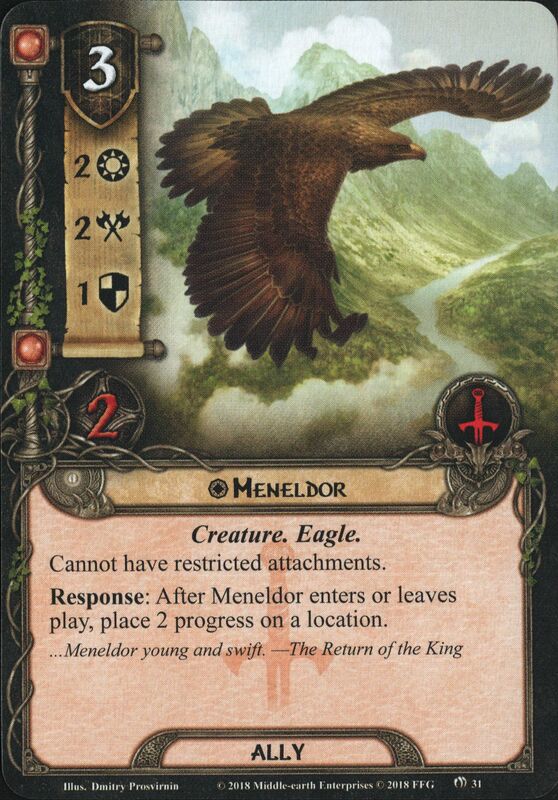 Action: Search the top 5 cards your deck for an Eagle or Istari ally and put it into play. Shuffle your deck. At the end of the round, if that ally is still in play, return it to your hand.